Aug. 18, 2017, 11:49 a.m.
Are hate crimes on the rise? Reliable national-level data isn’t available (though the Center for Investigative Reporting attempts to track domestic terrorism) and reporters following the beat are in the dark about just how common the incidents they cover are in the U.S. The new Index will help make this data easier to understand and visualize. It is one of the first visualizations to use machine learning to generate its content using the Google Natural Language API, which analyses text and extracts information about people, places, and events. In this case, it helps reporters by digging out locations, names and other useful data from the 3,000-plus news reports — the feed is updated every day, and goes back to February 2017. The feed is generated from news articles that cover events suggestive of hate crime, bias or abuse — such as anti-semitic graffiti or local court reports about incidents. And we are monitoring it to look out for errant stories that slip in, i.e., searches for phrases that just include the word “hate” — it hasn’t happened yet but we will be paying close attention. Users can filter news reports by using the tool’s algorithmically generated person or location keywords, or can search with keywords of their own. The tool is available now here. The tool is a part of the Documenting Hate project, launched this past January and spearheaded by ProPublica. 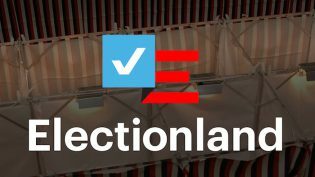 The initiative, inspired in part by the nationwide Electionland reporting project, tracks hate and bias crime throughout the U.S. and is supported by a coalition of news and digital media organizations, universities, and civil rights groups like Southern Poverty Law Center. It has partnered with numerous local news outlets to write stories on incidents in their regions. Wang, Shan. "With data from Google News, this new tool makes it easier for reporters to track hate crimes nationwide." Nieman Journalism Lab. Nieman Foundation for Journalism at Harvard, 18 Aug. 2017. Web. 23 Apr. 2019. Wang, Shan. "With data from Google News, this new tool makes it easier for reporters to track hate crimes nationwide." Nieman Journalism Lab. Last modified August 18, 2017. 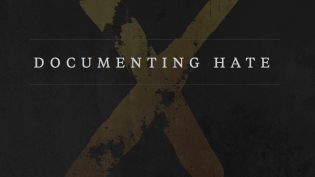 Accessed April 23, 2019. https://www.niemanlab.org/2017/08/with-data-from-google-news-this-new-tool-makes-it-easier-for-reporters-to-track-hate-crimes-nationwide/.